Green Acres Shopping Village, built in the 1950’s, is one of Tyler’s most iconic neighborhood shopping centers. Located on Troup Highway between Loop 323 and Fifth Street, Green Acres is home to over 30 retailers that include casual dining, cosmetics, women’s accessories, a music store, a veterinarian office, and much more. Leasing for Green Acres Shopping Village is handled by Glenn Eikner and Blair Swaim. Together, these two agents work tirelessly to ensure the absolute best deals for potential tenants. Glenn and Blair are highly professional agents who take their work very seriously and won’t rest until everyone is happy. The past few weeks have been very busy for Green Acres as a new business has recently opened and two new businesses are coming very soon. 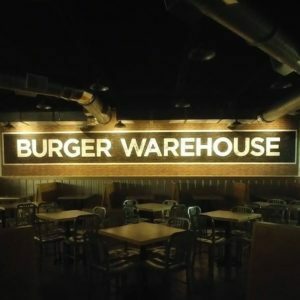 Anytime Fitness and Boards & Bites Café will be opening their doors in the near future and the Burger Warehouse just recently opened their doors. Anytime Fitness reached out to the Patterson Commercial Property Group to find the perfect location for their new space. That search led them straight to Green Acres Shopping Village and Glenn Eikner and Blair Swaim. Burns Commercial Properties has been representing the Landlord at Green Acres Shopping Village for several years and Glenn and Blair worked diligently to put an offer together for Anytime Fitness that was agreeable for everyone involved. Construction inside the space at 1827 Troup Hwy has already begun and Property Manager, Rian Hartley also with Burns Commercial Properties, is working closely with Anytime Fitness to ensure a smooth transition into their new space. The exercise facility is slated to be open for business in the spring of 2018. Next door to Anytime Fitness is the Burger Warehouse. Located at 1839 Troup Hwy, they’ve recently opened their doors for a soft opening. While speaking with the owner of Burger Warehouse, he was specific in his desire to ensure the staff is fully trained and comfortable prior to the grand-opening, allowing them to provide a great customer experience. Along with burgers and fries, the Burger Warehouse also offers hand dipped ice cream. Located at 1851 Troup Hwy, the Boards & Bites Cafe of Tyler is a first class coffee and internet lounge set to open before the end of the year. Again, the owners worked with Glenn Eikner and Blair Swaim on the lease of their new 2,366 square feet space and should be a very popular location. Everyone at Burns Commercial Properties wishes these new tenants the absolute best of luck for success and prosperity.